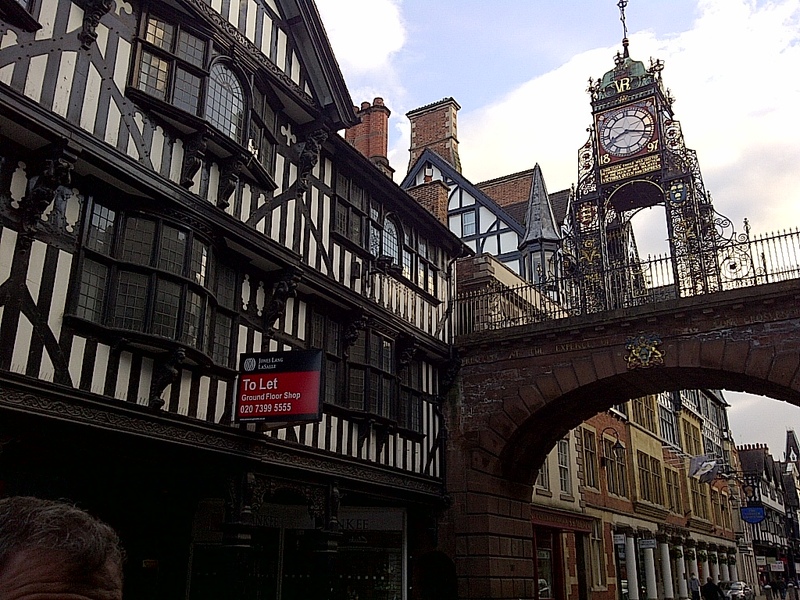 One of the Medieval town arches, Victorian era clock and Tudor type architecture. Chester, England. June 13, 2013. On the ENGLAND, SCOTLAND & WALES tour.